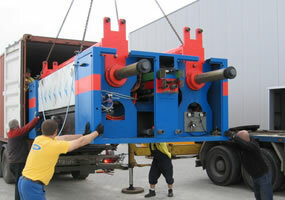 Machinery Movers provide the whole spectrum of professional machine removals services. By choosing our factory relocation firm you can be sure that your moving project will be completed as previously planned. We have been moving heavy equipment, machinery and other enormous stuff for generations. 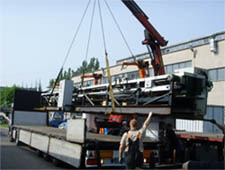 We understand that every machinery transport and move is different. And that's why our engineers will survey your site at no cost and provide you with a quote tailored to your individual needs. Whatever the size of your business, the complexity of your project, your budget and the timescale we can handle it even at a short notice! 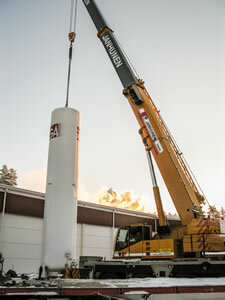 Machinery Moving is a well established and experienced firm that has developed a comprehensive choice of services to personalise the entire machine move process to suit your unique requirements such us: electrical and mechanical services, machinery installation or simply on site, internal machinery relocation. When it comes to machinery removals we are the heavy equipment removal company with considerable expertise backed up with many years of practical experience. We are proud of the position we have attained in the machinery moving industry. We are the UK's first choice for machinery loading and relocating. We have successfully helped hundreds of companies move machinery to many destinations throughout the UK, Europe and worldwide. Machinery Movers are a family run company and our desire is to ensure your business receive a professional and stress free relocation. We have specialised in 1 ton to 50 ton machine moving for many years, so whether you are planning to move one machine or complete factory we recognise the importance in ensuring that our customers receive the same level of care and attention that we would expect ourselves. Our firm is unique amongst other machinery removal companies because as well as UK local nationwide moves we also handle International Machine Export Packing and Removals. This provides the reassurance of knowing that our reliable staff have been also professionally trained in all aspects of industrial plant, farm and building machinery relocation.